We are seeking new members to expand our wonderful Design Team! We have monthly challenges which means 2 posts every month. 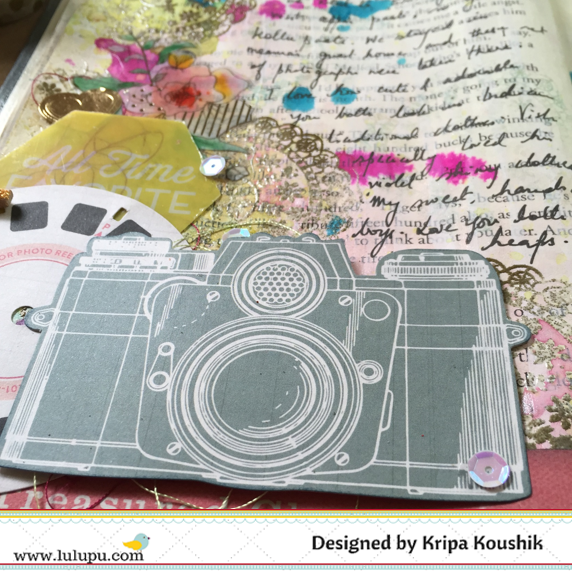 Lulupu store brings in new trending products from the market which are used by the Design Team to deliver inspiration to scrapbookers and card makers everywhere. We will be taking submissions from now through November 20, 2015. We want to see your best work and want you to take the time to put together a thoughtful application that speaks to your love of card making, scrapbooking, mixed media, altered art, stamping and what you will bring to our team. Not to forget the commitment and fun together! We are seeking talented designers (worldwide) who are passionate about paper crafts. As a Design Team member you will promote the products on our website on forums, our blog and other social media outlets (like Facebook, Twitter, Pinterest etc). So if you are a active crafter with a Blog running for the last 4-6 months you may apply by sending us the below details via email to hello@lulupu.com with subject Design Team 2016. Once we receive your application and review it and we will send out more details based on your assessment only if you are selected. 3. 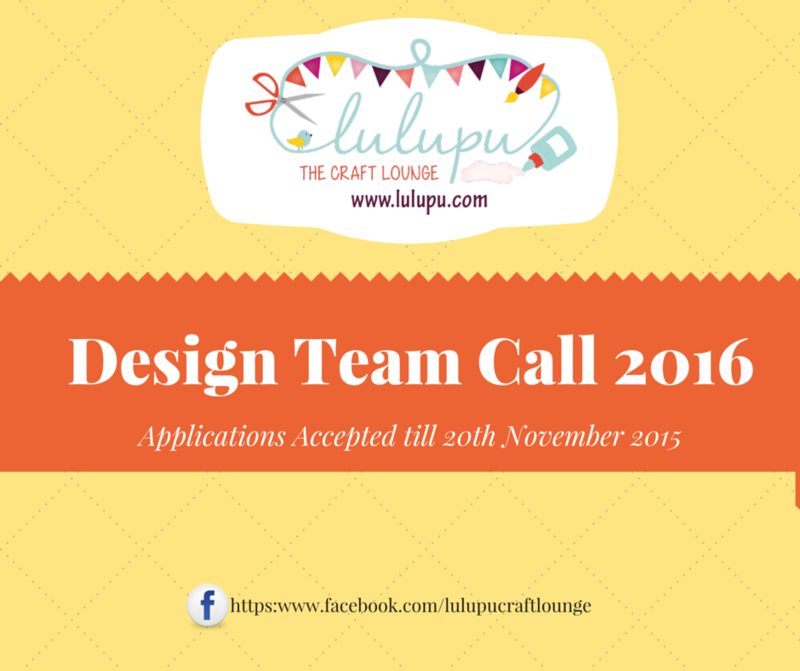 Why you would like to join the Lulupu team and what you believe you can bring to our group of talented designers? 4. Please share the pics of your top 3 creations that showcase your versatility with using different craft products. A video/pictorial is much welcome! We have a great appreciation for our designers and we would be honored to have you join our team. We are looking forward to seeing your talent! 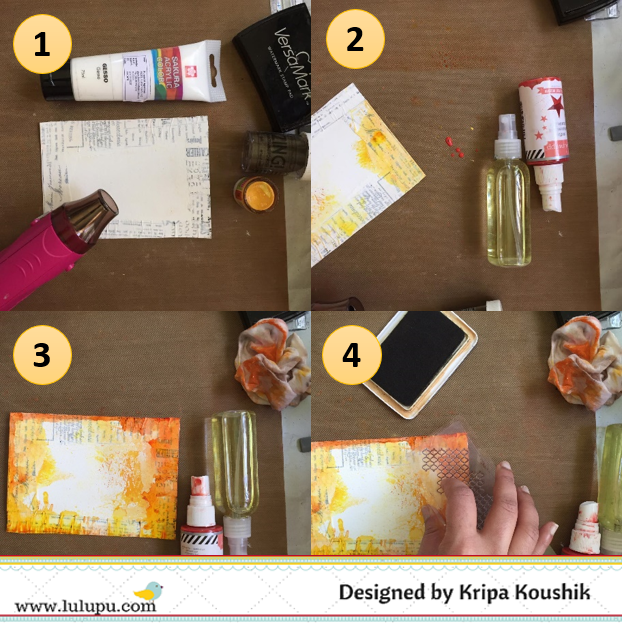 Tanvi, here with another post in which I am sharing a card along with a pictorial. This month's challenge is all about using embossing powders. 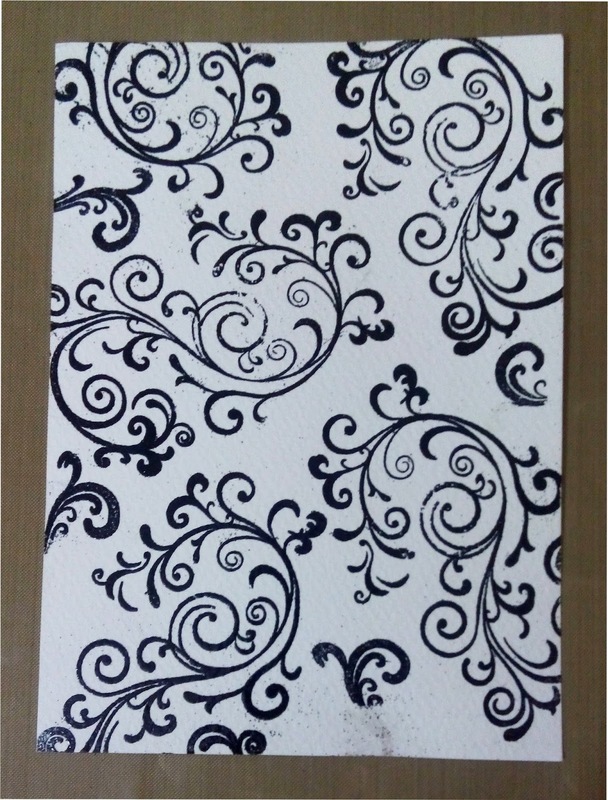 For this card I started by stamping on vellum with versamark ink to create a pattern. I then heat embossed the pattern with EP & later fussy cut the pattern as seen in the picture below. 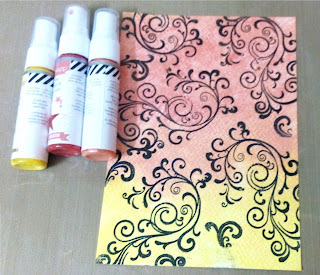 In my DT kit was a very bright apricot EP from Zing & initially I was hesitant to use it! The vellum was then laid over black cardstock. This trick worked to tone down the bright color of the powder, do you agree? To hide the adhesive I added enamel dots. The die cut sentiment is also heat embossed. You still have a few days to join the current challenge. Link your entries here. A quick and short post to share another page from my altered book. The right side page has been folded diagonally to form a pocket for big photographs. The background has embossed doilies with clear and gold embossing powders. Embossing resists paint and offers an interesting background to add mists or paints on. We have had some beautiful inspiration from the DT this month for the Magic with embossing. Challenge. You can link your entries here. Here is my first card. I have done heat embossing over watercolor paper and vellum using black and white EP. I have a tutorial for this one. In next card I have heat embossed two images and a sentiment over vellum using white EP. Then matted this piece over a pattern paper which was further matted over a green card base. I also did some faux stitching over vellum piece using a white ink pen. Added some sequins and glitter. Here is the tutorial or a pictorial for the first card. 1. Take a watercolor paper and heat emboss the image with black EP. 2. Add some color. You can use DIs or watercolors or sprays. Here I have Heidi Swapp color shine sprays in peach and yellow color. The embossed image will resist the color. Thereafter I have trimmed the panel a bit. 3. Next take a piece of vellum and cut it in a tag shape. Heat emboss the sentiment using white EP. Add some enamel dots. Glue it to the embossed panel using foam dots behind the enamel dots. That's all for today. I hope you like these cards. If you are interested in trying your hands at embossing then Lulupu store has a wide range of embossing powders and other supplies. You can enter your projects here. Some more magic with Embossing! This is Tanvi & welcome to some more magic with embossing powders! Heat embossing is one of my favorite techniques in card making. Even today I am as excited as I was when I first tried my hands at heat embossing using the iron! Love the sight of the embossing powder melting as I move the heat gun! In the first card today I have the image as well as the sentiment heat embossed. 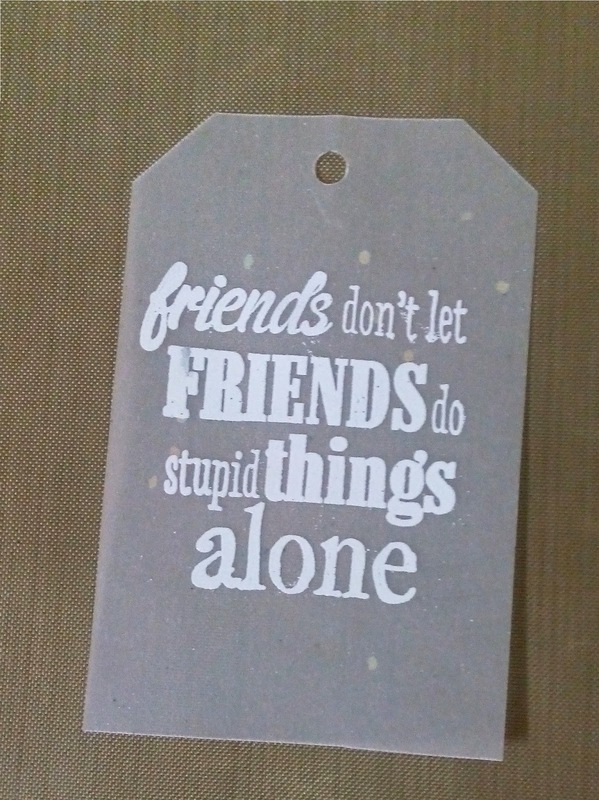 The image is fussy cut after embossing & coloring. As you can see in the picture my second card has both wet & dry embossing. I love using vellum for my cards & heat embossing on vellum is a perfect trick to prevent the image/sentiment from smudging! Thats it from me today........hope you like the cards! You still have a lot of time to link your card to our current challenge here. Hello friends!!! 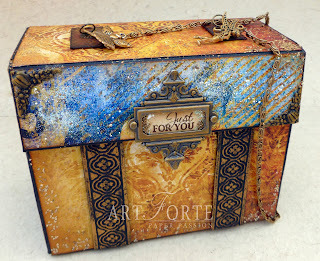 This month's challenge is all about usage of embossing powder in different ways in your projects. There are so many ways in which you can use them, create backgrounds, emboss the image and use watercolors/DI for coloring, emboss resist, over vellum etc. Click here to read challenge guidelines and here for more about this months challenge. I have made three cards as inspiration for this challenge. For the first card I took a watercolor paper and heat embossed one of the altenew persian motif stamp using golden EP. Then colored it using DIs Worn lipstick and mowed lawn. I slightly water-colored the panel with DI. Matted it over a matching green card base. 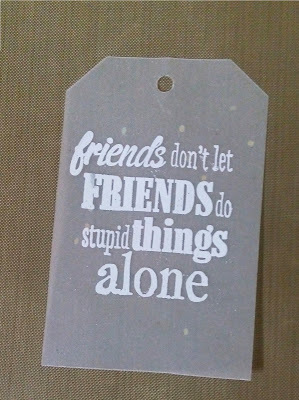 Stamped the sentiment with black archival ink on a banner. For final touches added some sequins. Second card one is a shaker crad. For this I have heat embossed the same stamp set as used above with white EP, colored with DI's and fussy cut them. Prepared a shaker panel with white CS on a white card base and arranged the embossed flowers on one corner. Added some stickles glitter glue on flowers. The sentiment inside the shaker has been also embossed with mustard color EP. Added some sequins. And for the final card I have used stamp set lacy scrolls from altenew. Heat embossed one of the stamp from the set several times on a white card base using glittered black EP. Stamped flowers and leaves on a white CS and fussy cut them. Added some shading using color pencils and glued them over the embossed panel using foam dots to add some dimension. 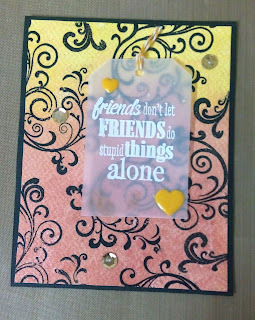 stamped sentiment using black archival ink and finished off with some golden sequins. I loved how the cards came out finally and my favorites are the first and last one. I hope you also like them and do let me know which one you liked most. Let me start by congratulating the winners of the Sparkle and Shine challenge. We thank all of you who participated and appreciate the time and love you put into your work and are ever so happy and grateful that you share your projects with us. My first exposure to heat embossing was in a craft fair demonstration and my eyes literally popped when the powder melted.... as if by magic. Embossing is a very handy technique that can be used in many ways, which the DT will share throughout this month. My project this time is a trio of autumn coloured cards along with a pictorial. The pictorial below is for the card titled 'grateful'. The other two cards have been made using the same techniques. 1. Glue strips of tissue onto the sides of a piece of watercolour paper. Spread a thin layer of gesso, remove excess gesso with a dry baby wipe. Dry. 2. On the craft mat, dribble a few drops of mist, give a light spray of water and swipe the edge of the paper over it. Dry. 3. Repeat with another colour. I've used a few shades of yellow and orange mists. 4. Stamp using a Kaisercraft texture stamp using archival ink. 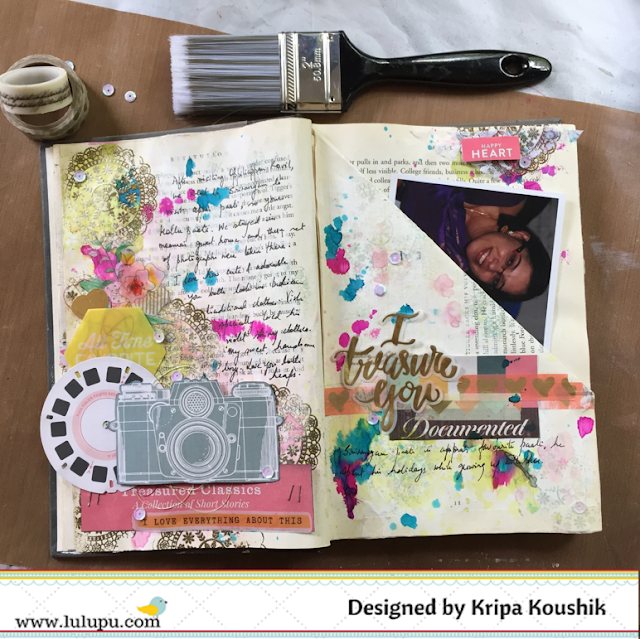 Archival ink is a must have for mixed media stamping. The ink is waterproof and wont smudge and react with water and mists. 5. 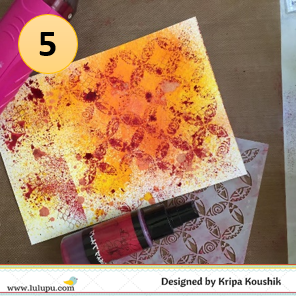 Prepare another piece of watercolour paper using the steps 2-4.Additionally, spray a darker orange/red mist through stencil. 6. 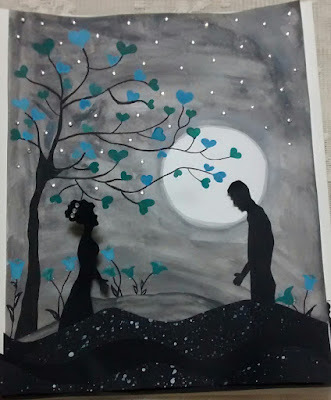 Cut out leaves and words using the paper prepared on the Silhouette Cameo. At this stage, I wanted to add some dimension on the base and leaves and embossing powder seemed the best option to keep a clean look and infusing some additional colour and texture. On this scrap paper you can see the red glitter embossing powder shining after heat setting. There is very subtle difference between the black and clear powders. 7. 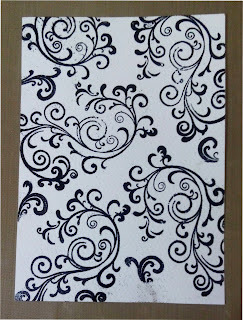 Using versamark watermark pad, stamp onto black cardstock. 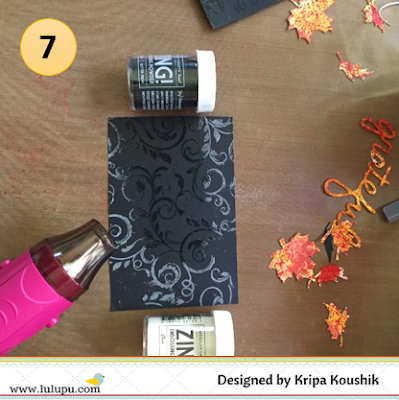 Pour black embossing powder in the middle and clear powder on the sides. Heat set with a heat gun till the powder melts. 8. 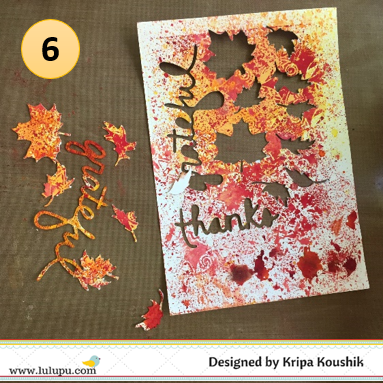 Similarly, emboss the leaves with gold and red embossing powders. 9. Finally, mat all the layers and glue the word grateful and leaves using Zig fine tip glue pen. Using the same techniques, these two variations were prepared. Tip: For tiny, shiny splatters, dip a small brush in undiluted acrylic paint, hold it a few inches asay from the paper and tap it with a pen. As the paint is not watery, you will need to tap a bit harder for shiny droplets. The camera hasnt captured the glitter from the pearl acrylic on these cards. That is it from me today. If you've never tried embossing before, Lulupu has a new range of embossing powders available in the store. Heidi Swapp Silicone Craft Mat 18"X24"
We had a overwhelming response to the Sparkle & Shine Challenge with 47 amazing entries, making it very difficult for the DT to choose the winners. Thank you all so much! Shalini Pahwa we love your unique style! Hussena this one is an elegant beauty. Jilesha loved the dreamy card! Nupur - loved your fantastic cake! Nupur, please email us at hello@lulupu.com to claim your prize. We look forward to seeing your creations for the current challenge EMBOSSING MAGIC. 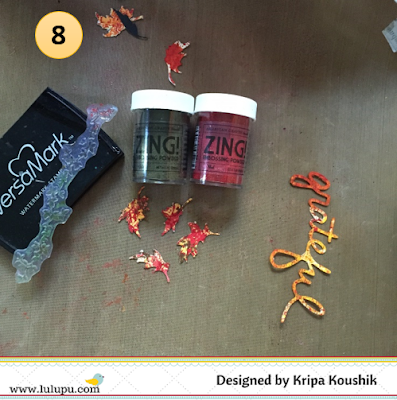 This month, we want to let you all bring out your embossing powders and the versamark ink and emboss. There are so many options for you all to try your embossing powders - create something entirely with embossing powders or add some watercolors and mix and match. The ideas are far too many. 1. For this month, we would like you to use your embossing powders on projects. So take out all those bottles, dust them and put them to use. The Challenge Winner this month would receive a Goodie bag from the Lulupu store. 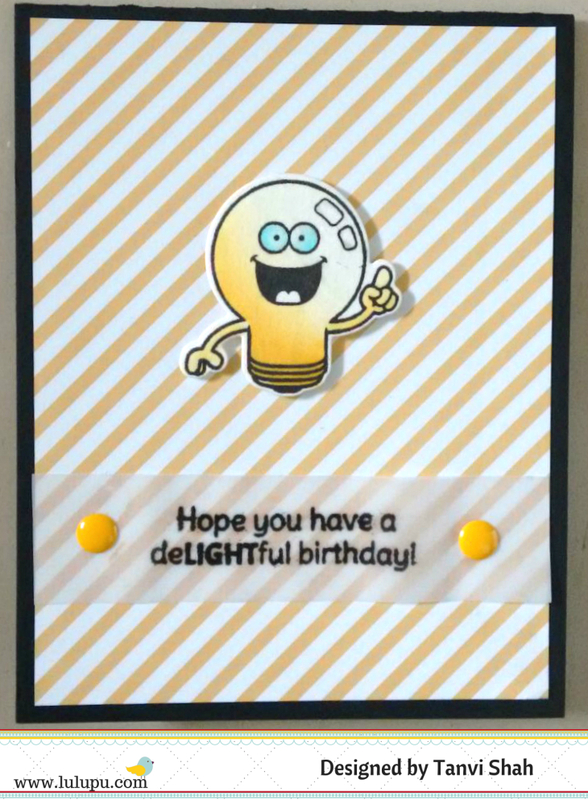 To kick off the challenge, I have a beautiful CAS card by our dear DT - Tanvi Shah which I would be sharing on her behalf. 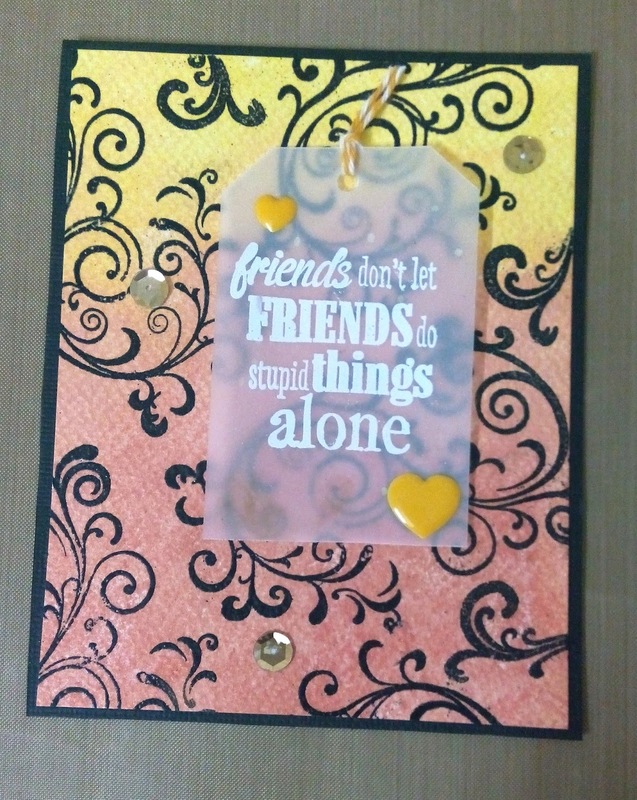 Tanvi has wonderfully used embossing on the vellum strip to enhance her sentiment. As you can see from her design, embossing can also be done on vellum to create some lovely effects. So, guys, I hope you all are inspired to create something which involves using your embossing powders. We are waiting to see what you come up with. Remember, the challenge link stays open the entire month.